Stayed over at JC’s place last night in Maury and was up early … but not as early as JC! I didn’t even see JC this morning as he started in the vineyard at 4am. The hours here are dictated by the wind and the heat so a normal working day is 4am to 11am. JC has a tractor problem and can’t afford to fix it right now so he is back on foot with a back pack sprayer. He was spraying some dry sulphur on to the vines this morning and the early start is critical. It’s the only time the relentless Tramontane wind calms down enough to allow the job to be done efficiently, otherwise it blows over someone else’s vineyard. Even by the time I awoke the temperature was already 27°C and after 11 am it is physically too hot to work! 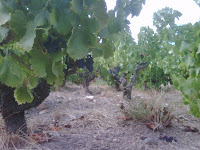 I met up with the others at La Cave de Maury where I make the XV du President and guided everybody to more remote, hot inhospitable Grenache vineyards to have a look! Lunch was ever-looming so we got a shift on and made our way to Latour de France. This is actually where the old border between France and Spain existed and the remains of this period can still be seen, as can the Spanish influences. Hervé and Laurent met up with us to show us into the Cabalié vineyards. 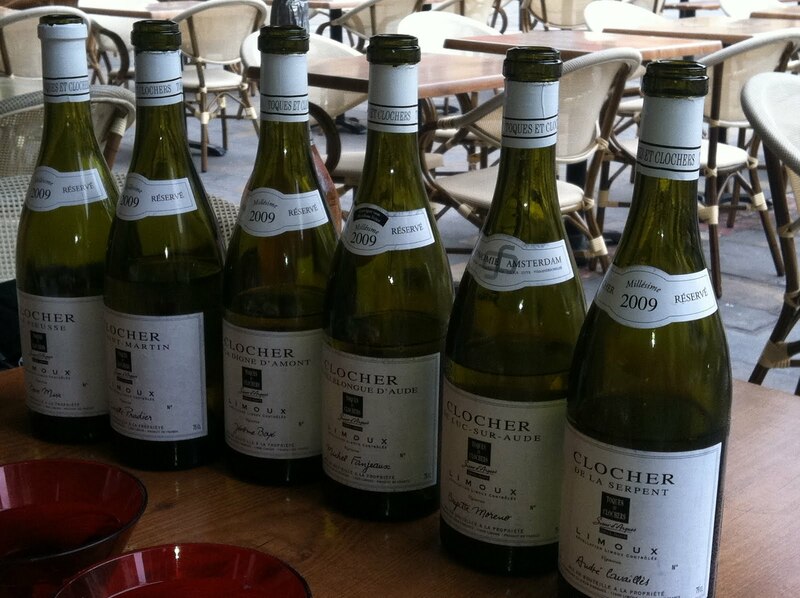 No time to waste; lunch awaiting us in Limoux! We drove 'the long and winding road' west from Maury to Limoux, temperature dropping dramatically in the gorge and it is gorgeous! A good 10 degrees cooler than in Maury and we are only 50 odd km’s away. Good old Laurent and Guilhem were waiting for us in downtown Limoux, a lovely little square and a great lunch menu at the 'Le Concept' restaurant. We tasted 2009 Roche Lacour white and rose – lovely – and a 6% vol sparkling Mauzac with natural sugar, which was perfect and so refreshing. Once the food was ordered Laurent pulled out from nowhere a great treat, six 2009 single vineyard Chardonnays two from each of the terroirs of Limoux. I was especially excited as this is what gave me the inspiration for La Voute which is also a single vineyard Limoux Chardonnay and I think we have done better (sorry Laurent! ), try it for yourself! Afterwards, we had a look round the sparkling wine cellars, walking warily around the gyropalettes. These metal robotic cages hold the sparkling bottles and move automatically to encourage the sediment from the natural bottle ferment to slide into the neck. However, they don’t warn you before springing into action … it’s almost like having a cellar full of evil Edna’s!! Carcassonne for dinner and bed. We trekked back across into the Minervois to meet Hervé and Laurent at the Peyriac co-op and taste Domaine Genestieres 2010, delicious and lovely rose (speak of colour). 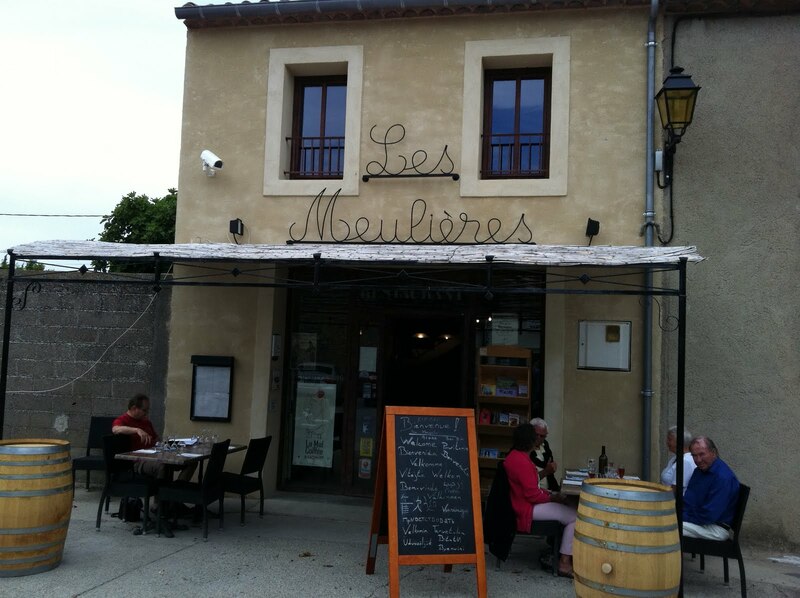 It was great to be back in the Minervois and lunch at the Meulieres cafe in Minervois La Liviniere village was simply perfect. With a lovely little Sauvignon for apero, local lucques olives, then an unknown local white from Gastou family, anchovy salad and pork cheek for the plat du jour! Tony chose the red (served chilled) with the 'pork cheek'. He remembers the Piccinni family from the early days and now with their own property, Domaine Piccinini, the 2009 was a fine choice. The dusty heat of Midi vineyards didn’t do much for my windscreen and finding my screen wash empty after lunch in the vineyards I had no choice but to use sparkling Perrier water. What a result … and the ‘pope mobile’ (the Chai car) seemed to like it too! With the Minervois explored we headed to the hotel in Narbonne. Great place, Narbonne, and the Novotel downtown is fine with a good pool. Very important after a long day in the vineyards and without any Perrier! Dinner was Hervé’s choice and only a quick 10-minute drive out of Narbonne. We were in the hills of La Clape, some great wines made here. If the Midi did get organised (unlikely) this area and some others we have visited would be in their premier cru. However, it’s not very organised and I like that! The restaurant ‘Le Souquets’ was just amazing, perched in the hills amongst vineyards and garrigue with the Med a stone throw away. All outdoors, big open grill, fresh whole fish presented at the table to choose from and the finely sliced duck breast (marinated in five spice, chive, onion and finely chopped garlic, flash fried on the planxa and served cold) was to die for. 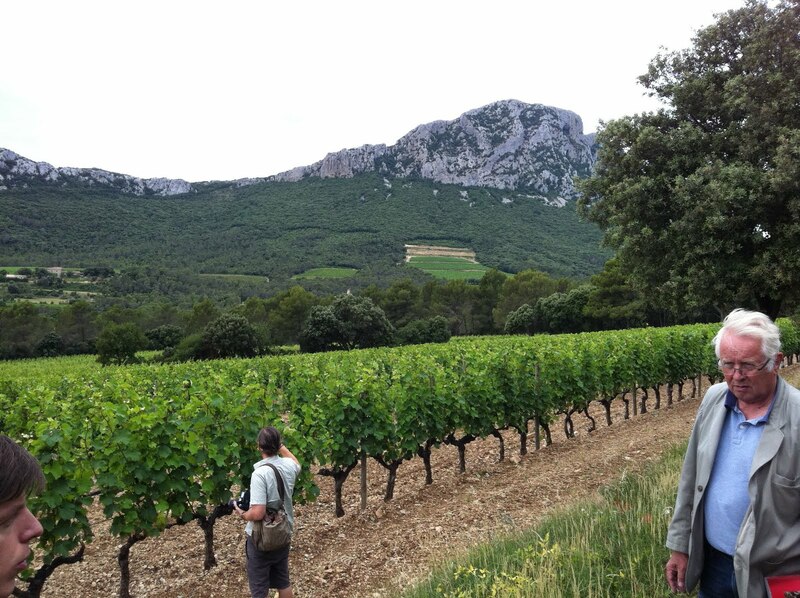 Back on the road, this time to another breathtaking appellation called Pic Saint Loup and Domaine de l'Hortus, lodged high up in between the actual Pic (peak) of Saint Loup itself and the l’Hortus mountain (a huge square wall of granite). These two mountains create a remarkably unique micro climate in the valley below, perfect for the sun worshiping Mourvedre on the south-facing slopes and Syrah on the North facing cotes. Whites do well here too, Roussanne, Viognier, Sauvignon Gris and even some experimental Petit Manseng. We make the Dolines l’Hortus cuvee with the Orliac family – 2008 tasting fab – so unique and the taste describes it better than any photo! 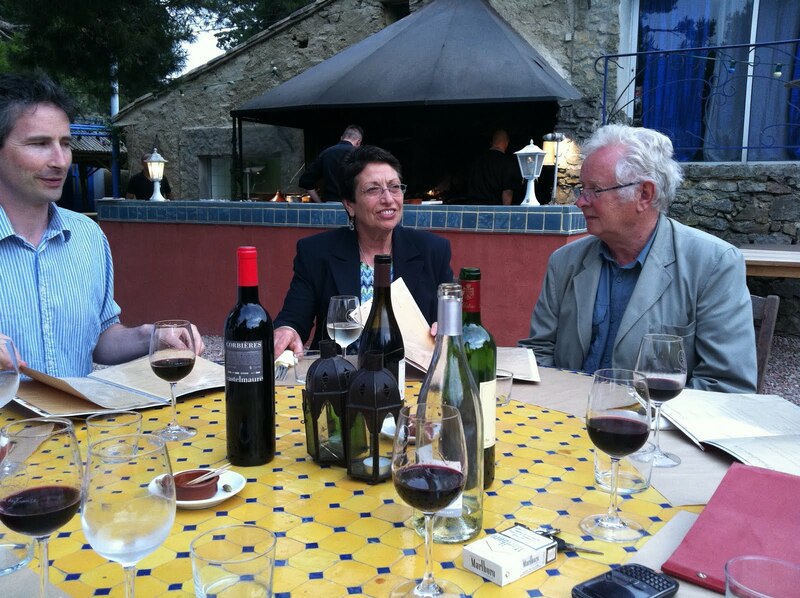 We rounded off the trip with a stunning lunch at the restaurant of Domaine de Baumes recommended by the Orliac family. There are no signs to this place until you actually crash into the drive way … but I would try and find it if I were you! Have a look at my map; I reckon it’s all you need to discover the Midi along with some of my restaurants tips! 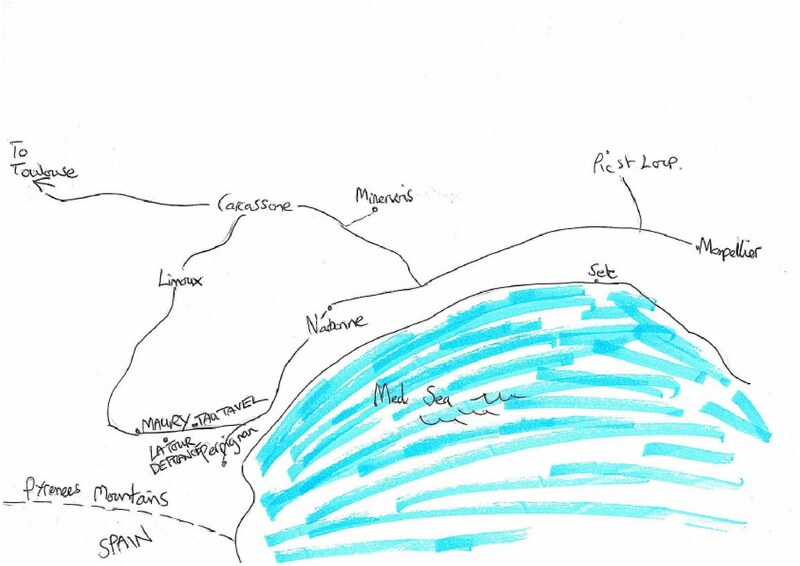 No point taking a proper map as there is only one way to be in the Midi and that is lost … otherwise you'll never find anything!